Penetrates even the toughest hogs! 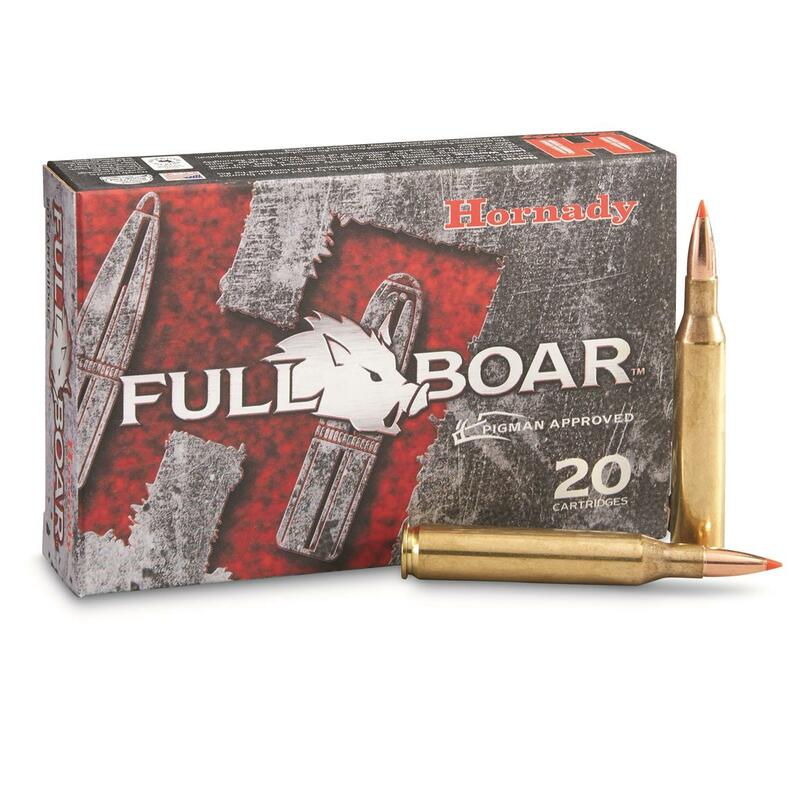 This Hornady Full Boar Ammo features hard-hitting GMX bullets for deep penetration and maximum weight retention. Plus, they deliver uniform and controlled expansion for unmatched terminal performance on the biggest razorbacks. 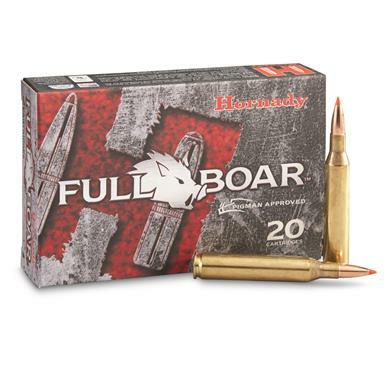 For consistent and reliable performance, there's no better option than Hornady Full Boar Ammunition. Deliver a "Shok" to the system. Modern ammo for the modern sporting rifle. Make it a knock-down, drag-out hunt.